Good news keeps coming for gamers at CES. Comparing virtual reality's anticipated growth to the rise of PC gaming nearly 20 years ago, Alienware founder Frank Azor said Thursday that the company would bundle the Oculus Rift with an Alienware X51 gaming desktop at a reduced cost to consumers. With Oculus Rift founder Palmer Luckey at his side, Azor said customers who ordered the bundle would receive the x51 system, valued at $1,200, plus the Rift for $1,600 total. That amounts to a $200 discount on the Rift. The discount from Alienware could help soothe angry gamers who were shocked by this week's CES announcement that the highly anticipated Oculus Rift would retail for $600. The specs of the Alienware system were not announced, but Azor said the bundle would be a complete turn-key solution—so you could pull the X51 out of the box and begin playing VR with minimal effort. 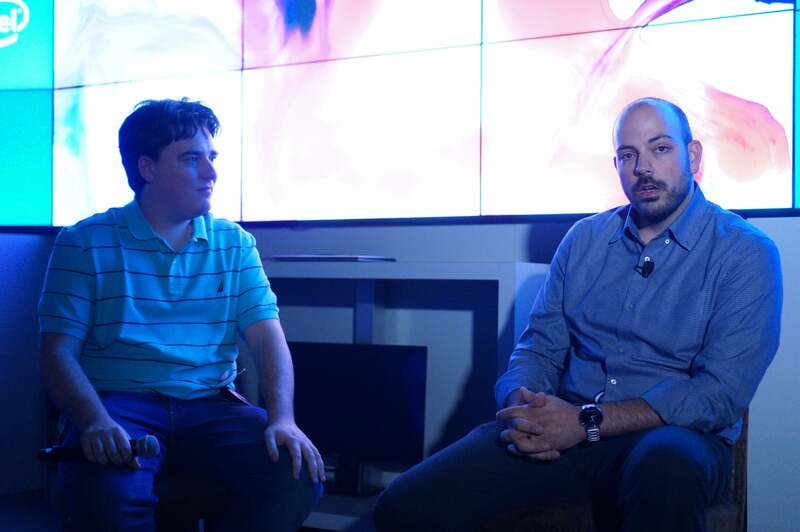 During a Q&A following Alienware's announcement of the bundle, Luckey and Azor also defended the "recommended spec" of a GeForce GTX 970 for good VR. Luckey said that while a higher performance GPU doesn't hurt, he didn't believe it was a necessity. He added that developers might use a higher-performance card such as a GeForce GTX 980, 980 ti, or an equivalent, but that he would personally be playing all final builds of VR games on a GeForce GTX 970 GPU. Azor concurred, adding that image quality with VR can't be judged by the same standards as on a monitor. The sorts of settings used on the latter, such as textures or filtering, don't necessarily apply. Oculus Rift's Palmer Luckey and Alienware founder Frank Azor. 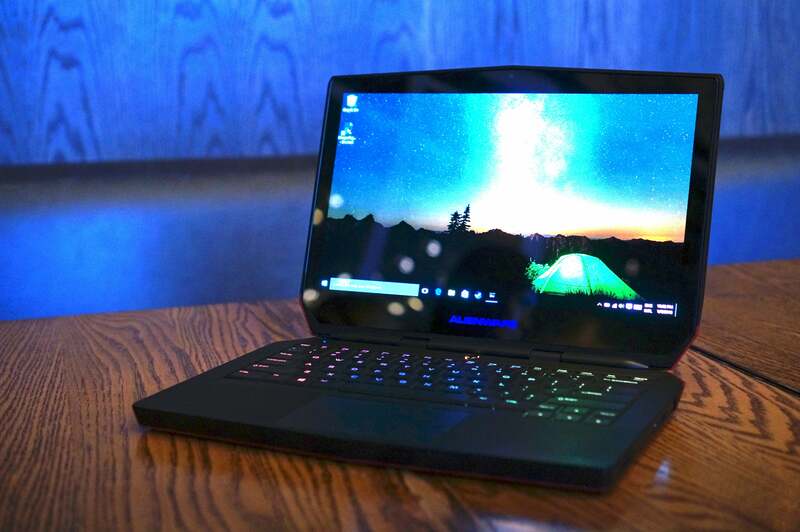 Azor capped off the announcement with news that Alienware would offer the world's first OLED gaming laptop when its new Alienware 13 comes out in April. Azor said there are two reasons to want an OLED panel for gaming: the first is the blacker blacks offered by organic LED technology, which doesn't require a separate backlight. The second is the response time, which, he said, is less than millisecond. The 13-inch Alienware will feature a new CPU but the same GeForce GTX 960m of the current model. Attendees of the Thursday night briefing saw an early build of the laptop featuring a 2560x1440 resolution OLED panel. While the OLED desktop panel that Dell recently announced is a shocking $5,000, the Alienware 13 will be surprisingly affordable at $1,499. Alienware's upcoming 13-inch gaming laptop will feature an OLED screen.